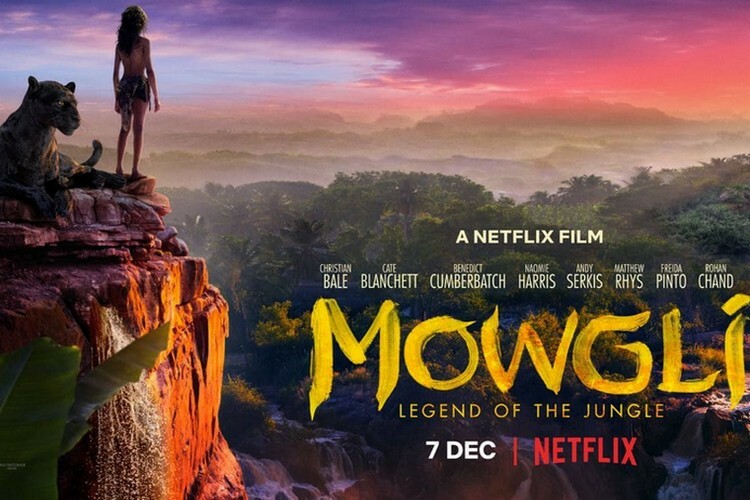 Netflix’s upcoming fantasy adventure film, Mowgli: Legend of the Jungle, is one of the most highly anticipated movies of the year, even though you might feel like you have already seen the movie in 2016. Ahead of the film’s December 7 release, Netflix has revealed the star cast for Mowgli: Legend of the Jungle’s Hindi dub which comprises of some big names in the Indian film industry, just like the last Jungle Book movie. Bollywood veterans such as Madhuri Dixit, Anil Kapoor and Jackie Shroff will voice notable characters in the film based on The Jungle Book. Kareena Kapoor Khan and Abhishek Bachchan round off the remaining cast lending their voice for Mowgli: Legend of the Jungle’s Hindi dub. Jackie Shroff will voice Shere Khan, who is brought to life by Benedict Cumberbatch in the film’s English version, while Anil Kapoor will be the voice of Baloo, the affable Himalayan brown bear. Madhuri Dixit will lend her voice to the wolf Nisha, while Kareena Kapoor Khan and Abhishek Bachchan will voice the Indian rock python Kaa and the black panther Bagheera respectively. The Bollywood stars took to Twitter to promote their association with the film. “Ferocious when provoked, especially when it comes to her man cub! Nisha brings the motherly instinct alive in Mowgli: Legend of the Jungle. So excited to be the voice behind Nisha. @NetflixIndia Dec. 7”, said Dixit. Bachchan tweeted that he is glad to become part of a story that he’s loved his entire life. Directed by Andy Serkis, Netflix’s upcoming film also has a star-studded voice cast for its English version which includes Oscar-nominated actors such as Christian Bale, Cate Blanchett, and Benedict Cumberbatch among others. Mowgli: Legend of the Jungle debuts December 7 on Netflix globally, so mark your dates.